Quarter the orange and remove seeds. 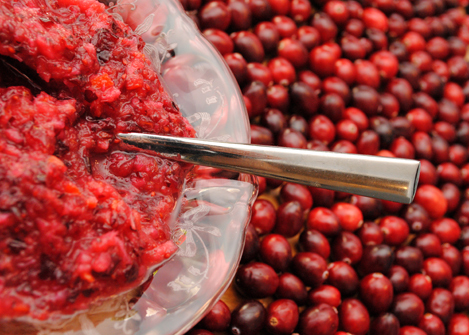 Use a blender or grinder attachment with on a mixer to coarsely chop the orange and cranberries. Add sugar to taste, starting with 3/4 cup. Refrigerate for at least 2 hours before serving. Adjust sugar to taste just before serving. Store up to five days in the refrigerator.